The current scandal surrounding UK cycling exposes blatant hypocrisy and serves as a clear lesson in sporting hubris – and that’s even before it’s viewed in the broader context of Russia’s recent sporting ostracism. When Bradley Wiggins climbed onto the podium on the Champs Elysees to be crowned winner of the Tour de France on July 22, 2012, it was an iconic moment for British sport. 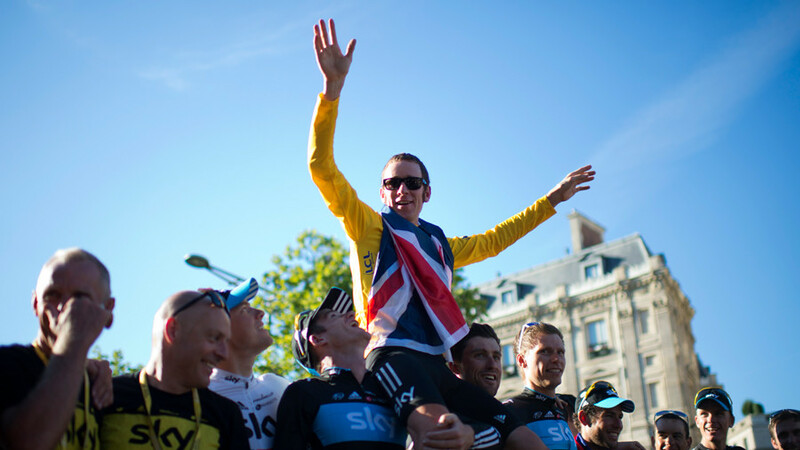 Riding for Team Sky, Wiggins had become the first Briton ever to claim the title in the tour’s long history, and the nation was basking in the glow of his success. Weeks later, Wiggins went on to claim Olympic glory in the time trial at the London 2012 Games, capping a golden summer for British cycling. Dave Brailsford, the chief of Team Sky and a key figure at British Cycling, the national governing body for cycling in the UK, had hailed how his team were doing things “the right way” – a welcome message in a sport damaged so badly by a litany of doping scandals, not least the Lance Armstrong saga. Looking back, it all seemed too good to be true. And it turns out it was. A newly released report by the UK parliament’s Digital, Culture, Media and Sport (DCMS) Select Committee has claimed that Wiggins and Team Sky “crossed an ethical line” by using drugs allowed under the Therapeutic Use Exemption (TUE) system to enhance performance rather than for genuine medical needs. The report was damning in its indictment of how the team allegedly bent the rules for performance gains. That included reportedly using the powerful corticosteroid triamcinolone to prepare Wiggins for his victorious Tour de France ride in 2012. "Drugs were being used by Team Sky, within World Anti-Doping Agency (WADA) rules, to enhance the performance of riders and not just to treat medical need," the committee report said. The report openly questioned the integrity of Brailsford, a figure who presided over a golden period for British cycling with the rise of Team Sky and UK success at the Olympics. Among the many questions Wiggins and Brailsford are facing is the infamous ‘jiffy bag’ incident from 2011, which still looms large. 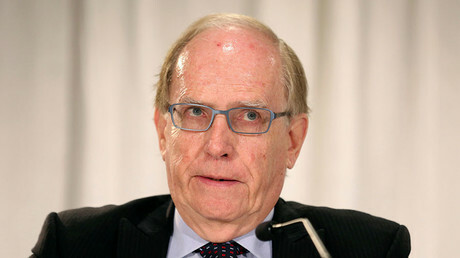 The case relates to a delivery to Team Sky during the Criterium du Dauphine race, which contained medication that was reportedly administered to Wiggins. 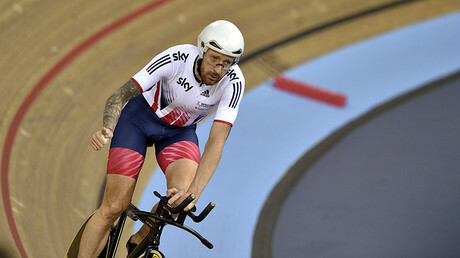 The delivery has been investigated by UK Anti-Doping (UKAD) over allegations the package contained triamcinolone, which, if true, would likely have been a doping violation, as Wiggins was not authorized to take it at that time. UKAD was unable to establish what was in the package, and Brailsford told the committee that the team doctor, Richard Freeman, assured him the bag contained Fluimicil, a legal decongestant. Freeman, who worked for Team Sky and British Cycling between 2009 and 2015, refused to confirm or deny that information when presented with new evidence by the committee. Conveniently, the laptop containing all data relating to the incident was stolen while Freeman was in Greece in 2014. In his autobiography, released in 2012, Wiggins said he had never had injections apart from vaccinations. He now says he was referring to injections without a TUE – just one of the myriad contradictions that continue to be picked apart as the case unfolds. Wiggins and Brailsford were both knighted in recognition of that golden summer of 2012. Both have denied wrongdoing, and, unsurprisingly, have come out fighting. Team Sky has said in a statement that it “takes full responsibility for mistakes that were made,” but that it “strongly refutes” the report’s claims that medication was used by the team to enhance performance. Five-time Olympic gold medal winner Wiggins has previously stated that he made use of TUEs merely to place himself “on a level playing field” with other riders. He gave a lengthy interview with the BBC released on Monday in which he says he is being “smeared,” and that “100 percent” he is not a cheat. But step back a second and look at the bigger picture. Brailsford, the figure who presided over a golden age in British cycling, has had his integrity seriously undermined. At best, he was in the dark about dubious incidents taking place on his watch; at worst, he was fully informed yet allowed it to happen. Many in the UK have been patting themselves on the back over their righteous crusade to uncover the truth, even if that means bringing down national heroes. Ironically, though, Wiggins’ use of TUEs first came to light in September 2016 through hacker group Fancy Bears, which is often linked to Russia. In an era when Russia continues to face unabated vitriol over alleged state-sponsored doping, it’s quite possible that without that leak, the investigation would not have happened, and one of Britain’s most heralded sportsmen would have retired with people none the wiser about the TUE incidents. All of this a far cry from the hysteria that has greeted any and every doping suspicion raised over Russian athletes. “We do things the right way, and we’ve always done things the right way,” Brailsford said of Team Sky back in January 2017. That ‘holier than thou’ attitude now appears massively misplaced. Rather than a lesson in how to do things right, the searing arrogance of Team Sky’s and Brailsford’s approach now seems much more like a lesson in wrongdoing.